Headed by Lead Technician Michelle Watson, Skalptec Shrewsbury is our newest clinic and located in the county town of Shropshire. The clinic was launched recently in response to an overwhelming requirement for treatments from the West Midlands, South Wales & the South West of England areas. 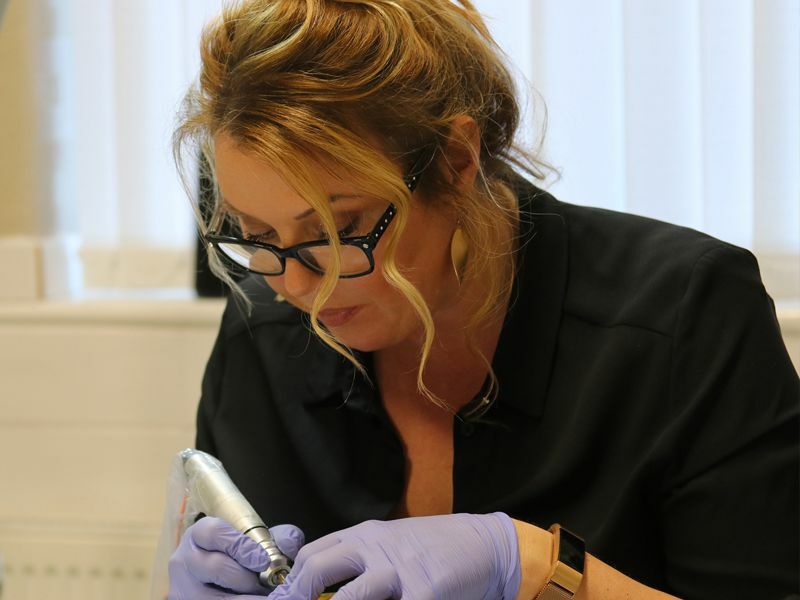 Michelle has many years of experience in the beauty industry and is already established in semi-permanent makeup and after meeting Terence Jones in 2018 at a masterclass training session where her brother was having the treatment himself, it was clear from the start that his reputation for delivering the very best results, his enthusiasm & professional work ethic were fully justified and only confirmed to Michelle that becoming a part of the leading UK scalp micropigmentation clinic was her next step forward. Skalptec Shrewsbury is based in the heart of this wonderful town, located in a beautiful regal Georgian property, the easy transport links make this a simple and stress-free location for your forthcoming treatment. If you would like to book a consultation or would like some further information on the procedure then give Skalptec Shrewsbury a call on 0845 625 0025 today.